Sometimes Christmas boutiques provide more than unique gift ideas. I stopped at a photographer’s booth to look through the cards, and realized that I could use my massive collection of blank cards as Christmas cards. So what if I didn’t have any reindeer or Santas? Or that they weren’t red and green? If I chose carefully and embellished where needed, I could easily tailor the card to the recipient. 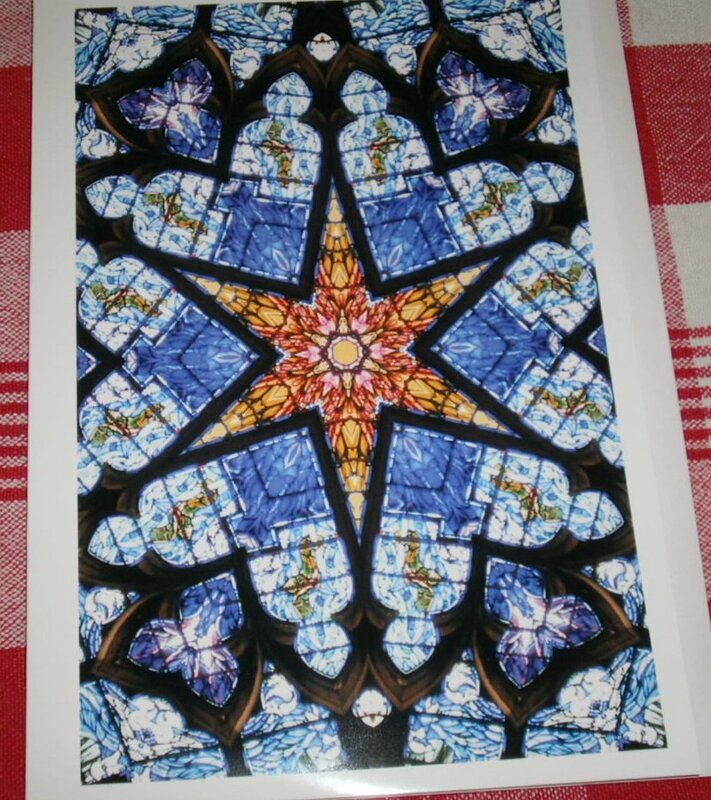 When I actually looked at my collection, I discovered some of them are ready as is, like this kaleidescope star by Christine McCall. 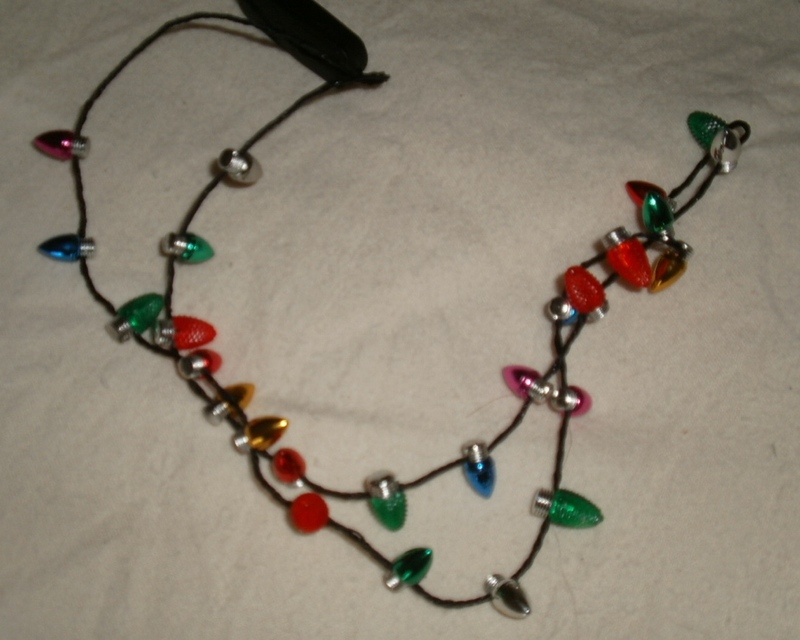 and other treasures, such as this blinking necklace (thanks, Jeanne Brophy!) 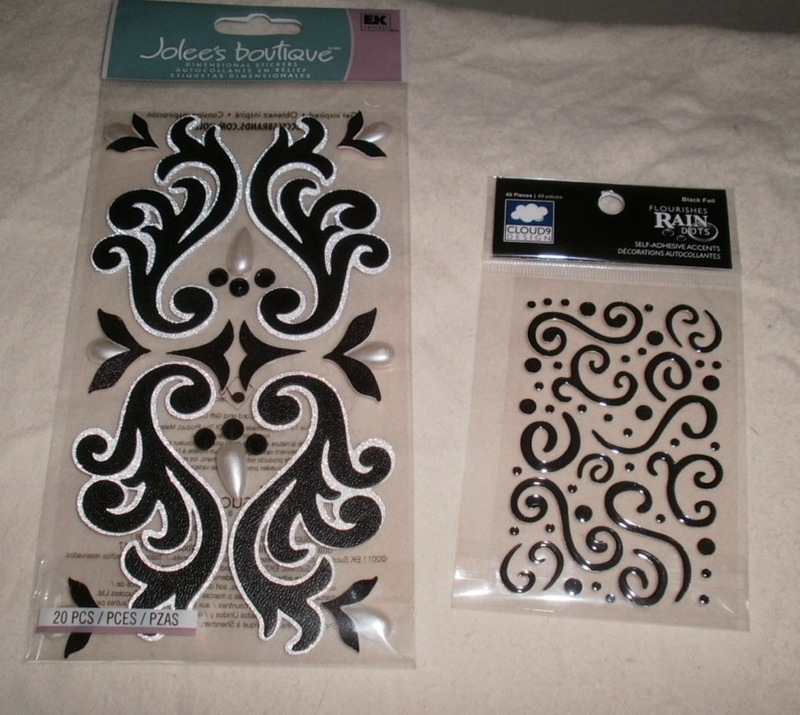 that I can wear myself, wind around the dog’s collar, or hide in a floral centerpiece. 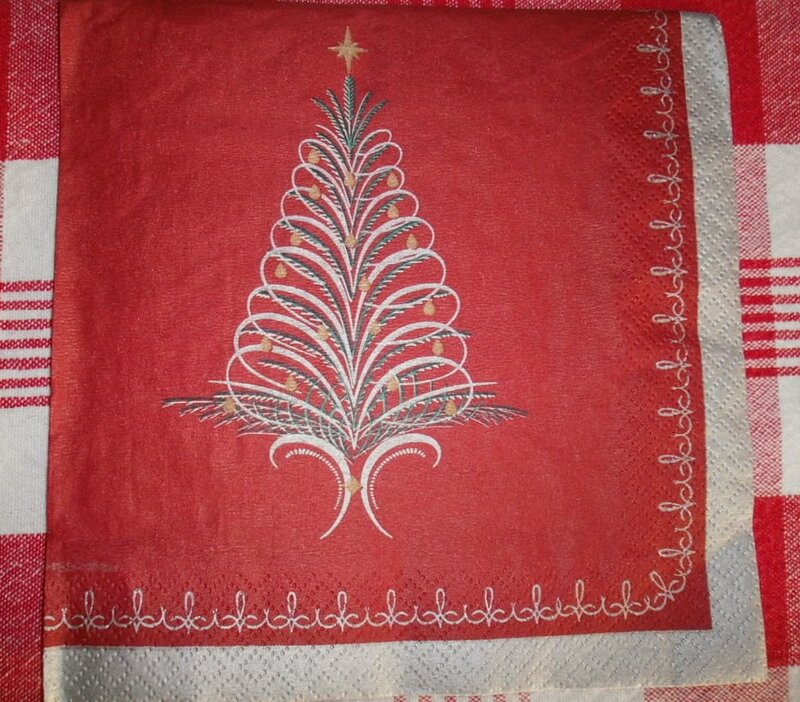 The best discovery was the Christmas tree napkins that I bought on sale last year that serendipitously match the wrapping paper I bought on sale this year. One final note of joy for the season – I finished my mother’s birthday present and mailed it in time! 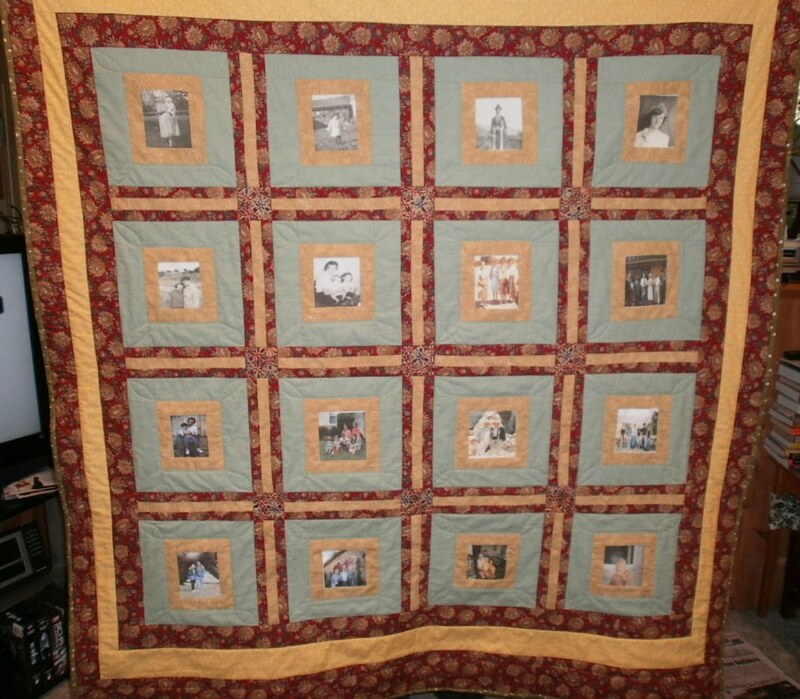 I chose at least one picture from each decade of her life and made a photo quilt. This project was made possible because my husband has created a digital database of our entire photo collection – an incredible gift to the whole family!